Then at some point, alcohol became part of the tradition and tailgating was no longer about the game. If you’re a recovering alcoholic and a football fan, it’s time to go back to when you were a kid, back to when you first started loving football, back to when tailgating didn’t need booze to be fun. At first it can feel like you’re breaking the tradition without a beer in your hand, but remember, there’s so much more to the game than the beverage you drink watching it. Think about your first days as a fan when the adrenaline rush you got from the game was all you needed. Start there, and rebuild your tradition to be healthy, productive and sober. Know that at first, it might not be easy to abstain from drinking while others around you show no restraint. It’s always OK to leave at any time. Remember, the cost of a ticket to the game is nothing compared to the cost of a relapse. If you don’t want to be around others drinking, many stadia have alcohol-free or family sections where you can set up shop distraction-free. Tailgate with other friends who plan to stay sober. If you’re going with friends who drink, make sure they respect your decision to abstain before accepting their invitation. Replace the red solo cup with a bottle of water, tea or a thermos of coffee. Man the grill! Keep busy by making food for others—it will leave you with a good feeling that lasts much longer than a temporary buzz. Race a buddy through the parking lot, play a game like bags, or toss around a football. Offer your services as a designated driver. Make plans for after the game and leave once it ends—don’t stay for the after party if you know it revolves around alcohol. Get in the spirit by wearing your favorite jersey. Concentrate your efforts on cheering for your team and showing your pride. Let a loved one or your sponsor you know you plan to attend and hold yourself accountable. Ask them to follow up with you when the game ends and have an honest conversation about your experience. 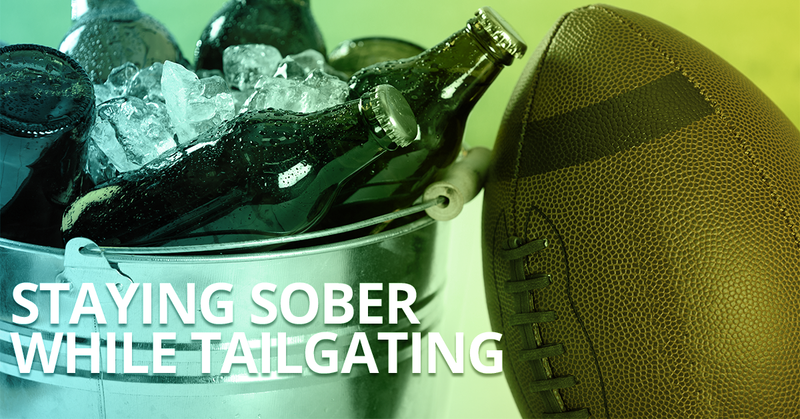 If you’re having a hard time adjusting to tailgating sober—you’re not alone. Reach out to your supports at home and at Prelude whenever you’re having doubts or feeling tempted. For more help with alcohol recovery, download our free guide below.